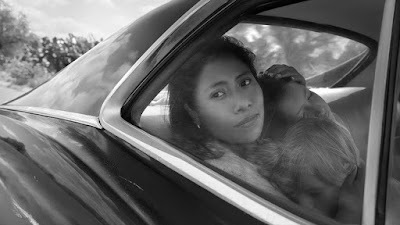 If Alfonso Cuaron was looking for a film as far away from his special effects dynamo and Best Picture winner Gravity, he couldn't have chosen better than Roma. When the project was announced as just a small, intimate movie, set in Mexico and shot in black & white, it gave the impression of an intentional departure for the filmmaker, a retreat from the blockbuster epics of his recent past (Prisoner of Azkaban, Children of Men, Gravity) and a return to the intimate filmmaking of Y tu Mama Tambien. This is true, but Roma is also something more. This doesn't feel like a director just remaking the era of his youth, we've seen that before. 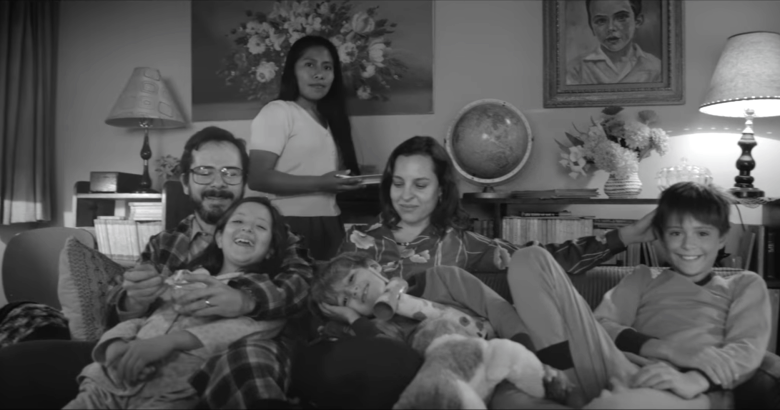 The portrait Cuaron paints is so deeply personal, so painstakingly detailed, and specifically focused that it's as if he's finally gotten to a place in his life where he must thank those who got him where he is. Cuaron, never one given to understatement isn't content to drop a simple "Thank You" at the end of one of his movies. For him, the only way to pay real tribute is to make an entire movie of the everyday strengths, joys, and pains of the woman so integral to his development. Empathic, sentimental, and technically dazzling, Roma could be seen as a coming-of-age story, Cuaron's coming of age, but the director turns his attention away from the children in one upper-middle-class household and onto Cleo (Yalitza Aparicio), their housemaid, caretaker, nanny, pretty much anything the family needs her to be. Cleo's story is, on paper, rather unremarkable. In the titular Mexican city in turbulent 1970, she is one of an entire class of poor indigenous women who leave their homes to take care of another family. We see her mopping the floors (Cuaron indulges with an extended shot of mop water splashing across the floor tiles), doing laundry, giggling with her co-worker and best friend, going out on dates with martial artist boyfriend Fermin, and caring for the household's four children. She shares a particularly strong bond with young Pepe, who we imagine is the young Cuaron, talking about his odd dreams and playing games with him under the sun. There's a strong connection with the family matriarch, Sofia (Marina de Tavira), as she struggles to keep her family together after the father leaves on a "research" trip. Both women find their lives shaped by no-good men, which unites these women of vastly different backgrounds and economic status. “No matter what they tell you, women, we are alone,” Sofia tells Cleo after discovering the truth of her husband's indiscretions. 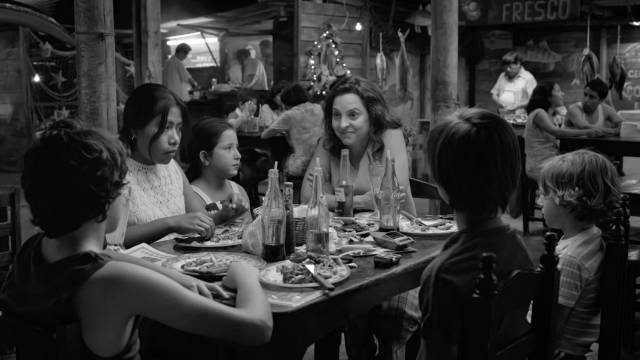 While Cuaron doesn't dip into overly sentimental territory, the real truth is that neither woman is really alone. Sofia has a family to support and be strong for, and Cleo discovers that she has that same family to lean on in her time of need. For someone who has been away from her village for so long, it's something she had not considered having again. Cuaron's admiration for both women shines through in every affecting moment they share. 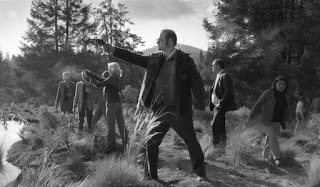 Taking the visual reins himself and shooting in gorgeous 65mm, Cuaron luxuriates in every frame. His use of wide angles and long takes can give an impression that he's taking things too slowly; do we need to track Cleo as she moves from room to room turning off houselights? Probably not, but it all looks so beautiful that we don't really care, and Cuaron fills up the screen with so much. Even a simple scene of Cleo folding laundry has some eye-popping detail, and when the director takes the action outside into the bustling vistas it's like a fiesta for the senses. Reminding us he's still capable of epic filmmaking even on such a small-scale drama, Cuaron sweeps us through dilapidated shantytowns where rows of men practice hand-to-hand combat, he guides us into an impromptu conga line at an uproarious Christmas festival, he reminisces over the movie theaters of his youth where the film that inspired Gravity (1969's Marooned) still plays, and holds our hand through a harrowing account of the Corpus Christie massacre. Tragedies big and small (including one of the most traumatic birth scenes I've ever seen) leave bruising marks on both women, but it's the strength they show in moving past them that Cuaron sees as their greatest virtue. On my way out of tonight's screening at the Middleburg Film Festival, a husband and wife were in front of me discussing their reactions to the film. While he enjoyed it she was less convinced, saying that all of Cuaron's memories didn't add up into a story. It's true that Roma does not feel like a typical movie, but like we are sticking our noses into the private lives of others. This is more than simple technical authenticity and it's more than just personal. Plenty of movies are personal and don't come close to the feeling we get from Roma, that we are literally walking through Cuaron's fondest memories. Nobody else could have made this movie; it is uniquely his and we are lucky to have it shared with us.